The Philippians were a healthy church in a great city: we think there is much we can learn from them. He challenges them not to settle, not to get fixated with the things of this life, and he points them towards Christ. 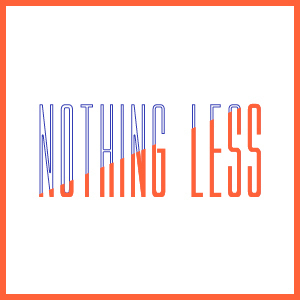 We're calling this series 'Nothing Less' because it encapsulates Paul's attitude towards God and His people. Mediocre faith and half-hearted following of Jesus isn't an option. God has so much more for us. We will be working through the letter in order, with each preach highlighting a different aspect of Paul's message to the Philippians, and to us. Nathanael Smith kicks off our new series in the book of Philippians. Before that, Luke introduces, 'Nothing Less'. Paul makes three crazy-seeming statements in this passage, which only make sense if we understand his total focus on the gospel. God wants us to see things the same way. The Gospel calls its recipients into a new life with God, pleasing him and serving others. In this passage Paul teaches that the calling on every Christian is to “conduct yourself in a manner worthy of the gospel”, and that by the Spirit’s help we're enabled to live that way. At the centre of the Christian faith is a saviour who took on the confines of humanity, served them and died on their behalf. Christians joyfully follow Jesus in his attitude towards others. Paul takes us on Jesus’ journey from heaven to earth and back again, showing His eternal divinity and incredible humility and looking forward to the glorious certain hope to come. God’s victory is total and we can share in it, even in our daily lives. Philippians 2 shows us what Christ's obedience looks like. We love to see other people being obedient – employees, children, people serving us – but we're less keen on doing this ourselves. Total Obedience means not just doing what God says but delighting in doing it. How can we do this? The first 10 minutes of this message is missing. Apologies for any inconvenience. We live in a world devoid of trust. Our lives our built around routines of distrust, from locking our doors to carrying ID cards. Worldly thinking at it’s extremes might say “trust no-one”, because no-one is trustworthy. But God’s intention is for us to completely trust in Jesus (the only fully trustworthy person to have ever lived) and also to grow in relationships of trust within marriage, friendship and church community. Everyone puts their confidence in something. Paul says that anything other than Jesus, however good it may be, is total rubbish in comparison to Him, so we must make sure that we put our trust in Him only. Everything that Paul once considered to be in his 'credit' column, he now counted as loss compared to his righteousness in Christ. Through this passage in Philippians 3, Dan Hudson shows us that a relationship with God is our greatest possession, our greatest experience, and our greatest purpose. Christians are not meant to be original. In Philippians 3:17-21, Paul encourages his readers to imitate people who are following Jesus. This is different to how most of us think but it is part of God’s great plan to make us like Jesus. Being joyful isn't an option for Christians - it is commanded! But more than just commanding this, God enables us to be joyful by sharing Himself with us. Luke explores how we can rejoice in the Lord always. Christians can be content whatever the circumstances, according to Paul. We can see how this is possible and what it look like in Philippians 4:10-14. What happens when we give to God’s Kingdom? Paul finished his letter to the Philippians with a description of six things that God does when we give. Comprehending all of these helps us to give with faith and joy.